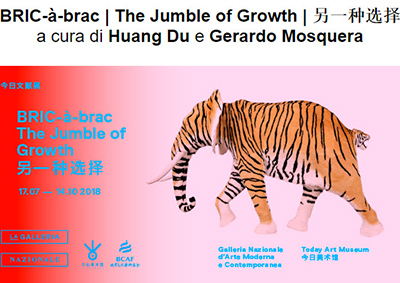 The Galleria Nazionale d’Arte Moderna e Contemporanea presents BRIC-à-brac | The Jumble of Growth, an exhibition curated by Gerardo Mosquera and Huang Du. The two curators come from two countries placed at the antipodes of the globe: Cuba and China, two geographically and culturally different contexts, that share a common attempt on reading the present from a group of apparently diverse visions. 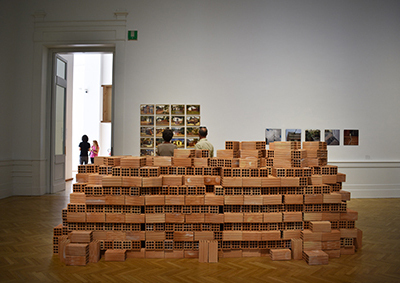 This exhibition is the result of a cooperation between the Galleria Nazionale d’Arte Moderna e Contemporanea in Rome and the Today Art Museum in Beijing. 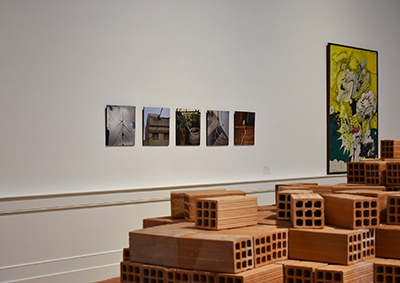 The show explores the process of economic, social and cultural transformations brought about by countries where emerging market economies are growing dramatically at a global scale. It examines the various ways in which art has participated in or reacted to some of the transitions involved, and to their effects on culture, society and the individual. 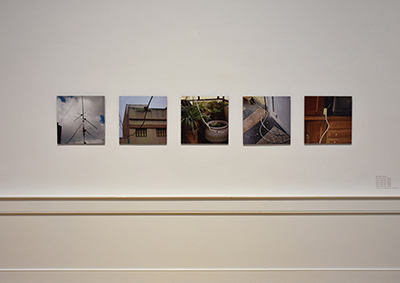 The title of the show is the first interpretative key: multilingual and tripartite, it analyzes and tries to translate the contradictory context in which we live. Playing with the French expression “bric-à-brac”, referring to aheterogeneous and disorderly juxtaposition, the curatorial project focuses on the chaotic and conflictual growth - "The Jumble of Growth"- of the developing countries, in particular that of the BRIC Countries (Brazil, Russia, India, China), from the acronym coined in 2001 by the economist Jim O’Neill. 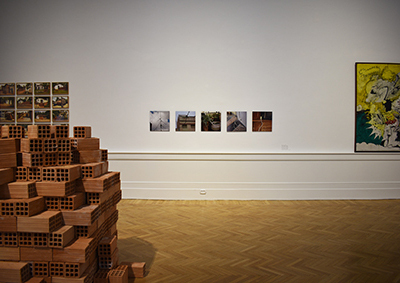 The goal is to explore the artistic expression of different economic growth models through art that reflects the social and individual consequences of progress, as seen through the lens of globalization. The complexity of socioeconomic phenomena invites us to reflect on the condition of the planet and on the alternative – assuggests – that these countries with a strong economic growth represent on a global scale, partially equalizing the distribution of power on the planet. The works of the artists examine the different ways in which art takes part or reacts to the transformations caused by globalization. Their introspective sight is oriented to the question that the complexity of our age implicates, to vibrant contrasts and to surprising elements, but also to the legacy of the tradition, so that they can reflect back critical and taunting answers. Around fifty works of art realized by 34 artists chosen to speak about the world and society following their intuitions and through new languages: videos, installations, photography and experimentation with unusual materials. Artists coming from China and other so-called BRIC countries deal with other artists of international origin. The globalized and post-industrial reality that characterizes China and the other fast- developing countries is the field where culture and artistic expressions are currently speaking on the behalf of their own post-modernism. Wim Delvoye (Belgium); Ana Maria Maiolino, Cinthia Marcelle (Brazil); Wang Goufeng, Wang Guangyi, Ni Haifeng, Wang Lijun, Tian Longyu, Lei Lu, Weng Fen, Gao Weigang, Yang Xinguang, Lu Zhengyuan, Du Zhenjun (China); Young-hae Chang Heavy Industries (South Korea); Wilfredo Prieto (Cuba); Shilpa Gupta (India); Jamal Penjweny (Kurdistan, Iraq); Enzo Cucchi, Francesco Clemente, Renato Mambor, Mimmo Rotella, Giulio Turcato (Italy); Damián Ortega (Mexico); Mounir Fatmi (Morocco); Donna Conlon/Jonathan Harker (Panama); Jirì Kolár (Czech Republic); AES+F, Chto Delat (Russia); Cristina Lucas, Fernando Sánchez Castillo (Spain); Kendell Geers (South Africa); Thomas Hirschhorn (Switzerland). Huang Du (Lintong, 1965) lives and works in Beijing as curator and art critic. From 1988 to 2001, editor for Avant-garde Today and Meishu Finearts, he published many articles and essays on contemporary art for international magazines and catalogues. In 1997 Huang Du received the Lenbachhaus Gallery Art Prize. He took part to a large number of international artistic symposiums and art awards, such as the Chinese Contemporary Art Award, the Credit Suisse Today Art Award (2010 – 2012) and the Nissan Art Award (2013), as orator and member of the jury. Huang Du worked also as artistic consultant with Hans Ulrich Obrist for the Echigo-Tusmari Triennal in 2012. His main curatorial projects include: Open Your Mouth, Close Your Eyes: Beijing-Berlin Art Communication (1995), as co-curator; Space and Vision: The Impression of Transmuting Daily Lives (1998); curator for the Chinese pavilion at the 1st Melbourne International Biennale (1999); Post Material: Interpretations of Everyday Life di Contemporary Chinese Artists (2000); Making China, New York (2002); co-curator at the 2nd Seoul Media Art international Biennal (2002); assistant curator at the Chinese pavilion at the 50th Venice Biennal (2003); curator at the Chinese pavilion at the 26th Sao Paolo International Biennal (2004); curator for Jannis Kounellis: translating China (2011); co-curator for the BRIC-à-brac | The Jumble of Growth exhibition at the Today Art Museum (2016), Beijing, together with the co-curator Gerardo Mosquera. Gerardo Mosquera (Havana, 1965) is an art historian, art critic and independent curator, as well as prolific author, based in Havana and Madrid. One of the founders of the Havana Biennal in 1984, where he worked as member of the curators team until 1989. After this experience as Cuban contemporary art promoter, he led an intense activity on an international scale as curator and art critic in more than 80 countries. After working as co-curator at Ante América between 1992 and 1994, from 1995 to 2009 he worked as curator at the New Museum of Contemporary Art in New York. He is advisor for the la Rijksakademie van Beeldende Kusten in Amsterdam and many artistic institutions and in prestigious international magazines. Between 2011 and 2013 he was art director for PHotoSpain, in Madrid. Mosquera published theoretical and critical essays on contemporary art. Among his books: Beyond the Fantastic (1995), Over Here: International Perspectives on Art and Culture (2005), Copying Eden: Recent Art from Chile (2007). He wrote more than 600 articles on specialized magazines such as Art in America, Art Criticism, Art Journal, Art Nexus, Kunstforum, Neue Bildende Kunst, Oxford Art Journal, Parkett, and many other international magazines. Among the exhibitions curated by him, are worth mentioning Wilfredo Lam at the 27th Sao Paolo International Biennal (1996); No es sólo lo que ves. Pervirtiendo el minimalismo at the Museo Nacional Centro de Arte Reina Sofia (2000); Liverpool International Biennal (2010); Lost in Landscape at the MART museum in Rovereto (2014); curator for the Artificial Amsterdam at the De Appel Arts Center in Amsterdam (2013) and for the show BRIC-à-brac | The Jumble of Growth at the Today Art Museum in Beijing, together with the co-curator Huang Du (2016); and was also curator for the 4th San Juan Poly/Graphic Triennial, Portorico (2015-2016).